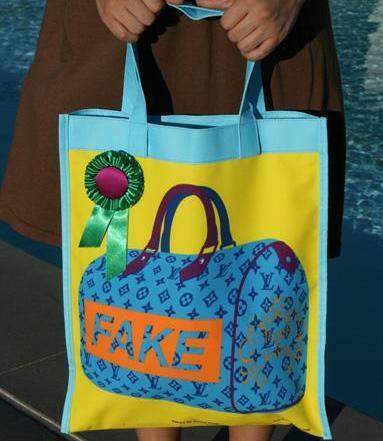 Must your grocery bag be fashionable? So what about you?Â Do you care about the grocery bag you’re caring?Â Must it be fashionable and pretty? I don’t go for too expensive grocery bag, but it must be looks ok to me, cannot look like aunti bag……..keke.I have some grocery bag which I brought from Japan & is not expensive.I had one which I always use cost be only 100yen(not brought from 100 yen shop) & been using for few years.Kinokuniya grocery bag is far too expensive & the price is crazy.I don’t deny that the bags are very pretty but I won’t buy.Maybe in Japan I will coz the price is much more better.Every year I go back, they have so many new design coming out which keeps u thinking which one to buy….Can’t wait for my next trip…..
Florence: Ya it makes sense if you can get it cheaper in Japan. I wouldn’t mind getting them too but not those at the ridiculous price here. i agree.. so as long as it’s not “aunty wet market” looking, it’s fine even if it’s plain. i’m using the one that i got from my nearby NTUC (which happened to be at thomson plaza), they had these really simple light-brown, made from (i presume) natural materials. i forgot the price, but i’m quite sure it didnt cost me an arm or a leg. Raelynn: Ah those plain ones are great. I don’t mind them either but they’re not very roomy though. Nope. My fave shopping bag is from Famima in LA: http://www.famima-usa.com/aboutfamima/design/index.html My son brought it back for me. 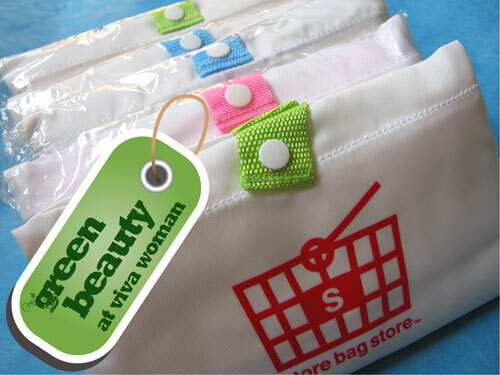 It’s an eco bag of non-woven fiber that zips open from wallet-size to tote bag. Here’s a video: http://www.vimeo.com/4270827 Very handy and much used! I have others from dept, grocery and drug stores. Also one from a conference. None of them trendy or hip in the least! Soos: I prefer them functional. I’ll have a look at the link you send me later…the foldable factor is nice touch for sure. I won’t say I’m in it for a trendy grocery bag, but its nice to carry a nice one rather that many plastic bags bumping against your leg as you walk. So, I’d stop at the Rume bags – its all I need and they’ll last ages. They aren’t trendy or fashionable but do look pretty good. Those by established fashion brands I’d say are a luxury few can afford and most can do without 🙂 Thanks for the link! Paris: I read about the Rume bags you wrote. They look nice. 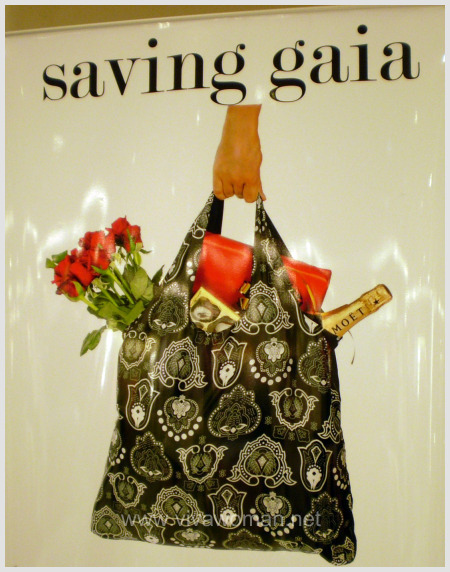 Actually the ridiculous thing about those upmarket grocery bags is that people who buy them use them as regular bags! hmm i don’t mind carrying plastic bags but i wouldn’t want to carry really ugly-looking reusable groccery bags. the ikea ones are really quite awful looking and shapeless! i really liked the yellow reusable bag (with the image of a tree) that Old Chang Kee gave away. too bad the offer ran out when i finally got down to trying to get it. i think i’ll pay max 3dollars for a nice groccery bag though! Elleve: I don’t think I’ve seen the Old Chang Kee ones. Personally I prefer plastic bags although that is not being environmentally friendly. I need them for the garbage! And grocery bags are good for small purchases only. Not feasible when we shop once a week. Tine: Heheh. I know you like Envirosax. They’re nice but I just cannot bring myself to buy them. As a matter of personal choice, I will not pay for expensive grocery bags. These bags are meant for groceries and I guess most people would have many in their homes by now with the growing awareness of recyclable bags. My grocery bag which costs me the most was from Cold Storage. Cant remember how much though. Its made from hemp…if I am not mistaken. Very durable. Molly: You’re right…most people would have many of the bags but yet, there are still so many offered. I prefer plastic bags from the supermarket itself. fwy: Same here…good for my garbage. I try to use my own grocery bag as much as I could every time I shop. The one I’ve been using for quite some times now is a red with black strap non-woven tote-bag of REVLON. I got this one free from my skincare brand promoter of AVENE. 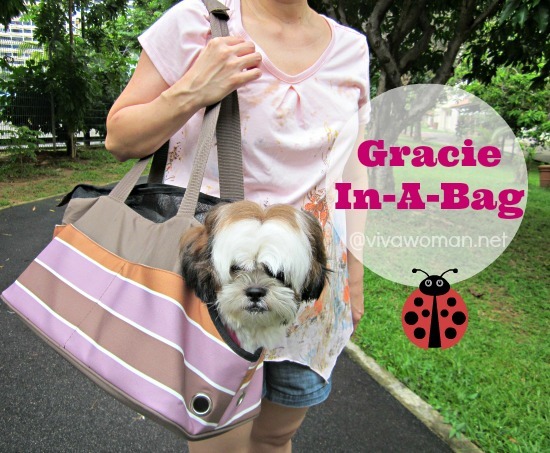 AmyTan: How come I never come across these nice free bags? Oh okay, I’ve got a free one from Tangs, not exactly a grocery bag but I used it for shopping some days. well i agree that there has to be plastic bags still, used to bag meats and fish and veges (which inturn become our garbage bag after that). but perhaps the use of biodegradeable plastic bags should encouraged by supermarkets and other retailers, together with grocery bags by shoppers. Raelynn: That’s a good idea and hopefully that’ll happen in time to come. Cos now if I don’t get the plastic bags from grocery shopping, I still have to use some plastic trash bag I buy and none of them are biodegradeable. I got this non-woven bag when I shoped at novo, so, I used that as a grocery bag. Lol… Really big and roomy. So i just dump my meat and veggie and eggs inside. So… I won’t really buy reusable bags… Unless someone gives it to me. Haha! Oh yes… Raelynn mentioned the biodegradeable plastic bags…. I know Thebodyshop is using them, and I also know that carrefore used to use them in the past. I wonder if they’re still using them now. Ms Blacklace: I have that too. The brown one. But I don’t use it as a grocery bag. I have many free grocery/reusable bags from stores or attending talkds but I’ve never gotten round to using them when I go out shopping because they are usually stiff and bulky and take up to much space in my already-bulky bag. So I bought a foldable nylon one from Muji which resembles a hanky when folded and fits nicely into a side pocket of bag. My bag is not fashionable at all though, just plain black nylon. Pink Ink: Oh I love Muji…they have very nice durable stuff. I’ll keep a look out for the item you mentioned next time I visit the store. Haha I’m a crazy bags collector of all sorts..so I have 2 Environsax too..hope I can put to good use..not onli as grocery bags but I tink dey are pretti enuff for keepin swimming items..nowadays it’s like a trend dat some clothes n shoes boutique give totes bags instead of paper bags..